The prices for the A-100 accessories you find in the price list in the section A-100 accessories or in the section spare parts. As we are not an electronic distributor the prices for spare parts are high compared to the prices of an electronic distributor. So we suggest to order these parts only as spare parts and not for building other equipment. For the A-100 frames we use the 19 inch housing system of the German company Gie-Tec (www.gie-tec.de). Here you may get 19 inch housing accessories that fit to the A-100 system. But as we use the 19" standard the A-100 front panel may fit with frames from other manufacturers too. Doepfer only offers ready built A-100 frames, i.e. with built in power supply, bus boards, top/bottom/rear cover, mains inlet, power switch and fuse holder. Doepfer does does not offer single mechanical parts of the A-100 frames (like mounting rails). does not include cables, mains inlet, power switch, fuse and mounting material (screws, spacers, nuts, washers). Running out - sale while stocks last ! Ex factory the supply is equipped with four 10 mm long M3 distance bolts. Suitable screws have to be added by the customer because the required length depends upon the thickness of the baseplate. The +5V of the A-100PSU3 are equipped with a separate (hidden) fuse. The fuse is located on the pc board of the A-100PSU3 next to the +5V terminals. To reach the fuse it may be necessary to remove the power supply cover (2 screws). It's essential that the mains cable is disconnected before the cover is removed ! It's not sufficient to operate the mains switch only ! From the factory the A-100PSU3 is equipped with a 2A fuse (F/fast). If required the value can be increased up to max. 4A. But this is recommended only of really a higher current than 2A is required. An existing power supply (A-100NT12 or A-100PSU2) can be replaced easily by the new A-100PSU3 because the A-100PSU3 has nearly the same dimensions and the four mounting bolts are at the same positions. No soldering is required because removable flat connectors are used for all connections. Nevertheless the replacement or installation has to be carried out by qualified personnel only because the correct wiring of the mains connection is essential. And it's essential that all parts that conduct mains voltage (cables, pc board, electronic parts on the pc board) are mechanically protected against any contact with the human body (touch-proof, e.g. by using a cover for the power supply). Otherwise there is Danger to Life ! Existing bus boards can be used. There is no need to replace the bus boards. Only if the +5V supply is required one has to add the cable(s) that connects the +5V terminal of the bus board(s) to the corresponding terminals of the A-100PSU3. assembled and tested additional power supply +5 V@ 500 mA, the installation of the 5V power supply has to be carried out by qualified personnel only who is familiar with the electrical safety rules! Available only for 230V mains voltage. Alternatively one of the power supplies of the German Sonderliste (special list) can be used to generate +5V. 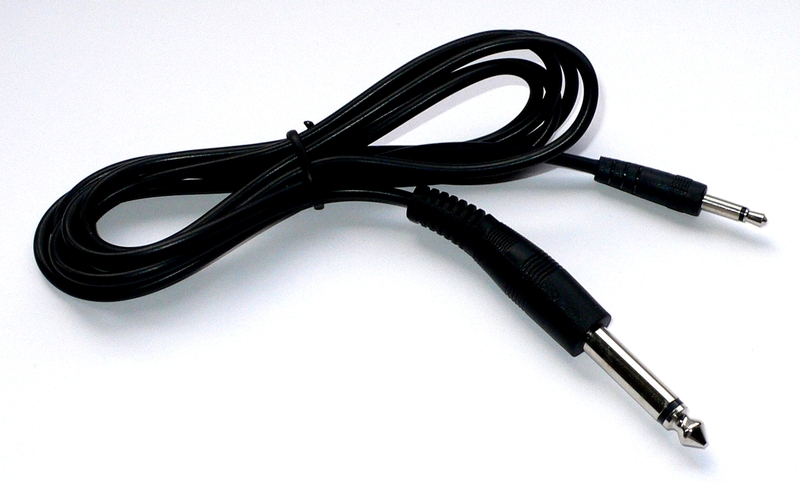 For currents less than 100 mA the 5V low cost adapter described below should be used. This module can be plugged into a free socket on the bus board for older A-100 modules which require +5V (e.g. A-113, A-190) or for modules from other manufacturers. The current is taken from the 12V supply ! Required only if +5V are needed and an older power supply (A-100NT12 or A-100PSU2) or the A-100 DIY supply is used. Do not install the A-100AD5 when the A-100PSU3 is used ! This may damage the A-100PSU3 and/or the A-100AD5 ! mechanical and electrical skills are required to install and run the A-100SSB ! 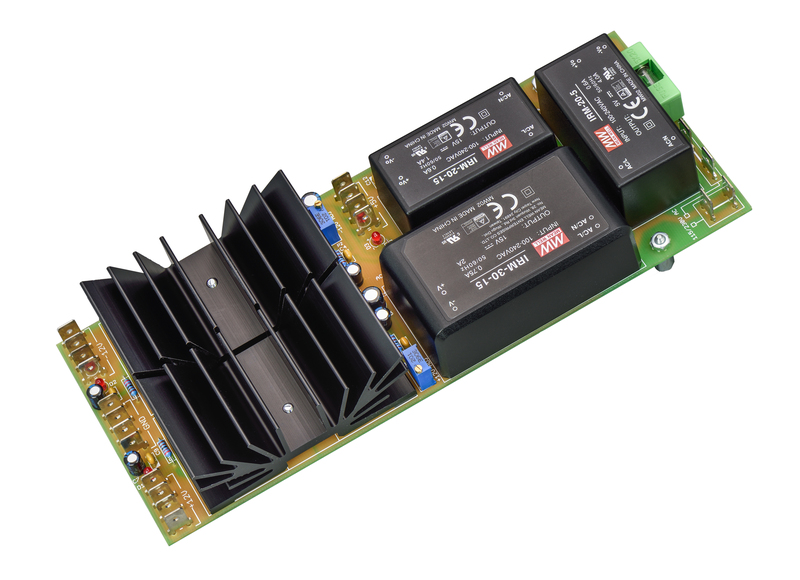 Different versions of the A-100 miniature power supply are in circulation. We will mention all versions at this point but only the latest version is available. All versions are ready built and tested pc boards and include a small power supply with an integrated bus board with four bus connectors. The main application if the miniature power supply is the power supply for one or a few modules only (up to four). The miniature power supply is also used in the miniatur case A-100MC. devices manufactured from about 2017 (version 2) requires an external transformer (AC/AC adapter) with 12-15V AC voltage output and are named A-100MBP (Miniature Bus/Power supply). 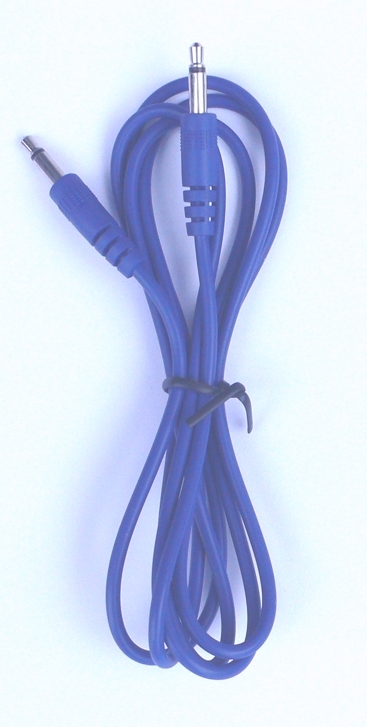 These units are either marked by a label with the words "12-15AV/>400mA". The label is located on the pc board of the power supply. If there is no such label or imprint it's version 1.0 or 1.1 and the above mentioned 9V AC supply is required. Remark #1: As the 5V power supply (A-100NT5) is no longer available the back panel is no longer equipped with the four holes for the 5V power supply shown in the left picture. Remark #2: The back panel cannot be used as a 84 HP blind panel at the front side of the A-100 frame. The panel is a bit longer than 84 HP (= 426.7 mm) to cover the rear side of the A-100G6 metal frame completely. For this purpose two 42 HP blind panels have to be used (see above). 3U/84HP with mounting holes for 12V power supply (suitable for A-100NT12, A-100PSU2 and A-100PSU3 ), mains inlet with power switch, fuse holder and wires to connect the power supply, without mains cable, without additional mounting material, made of 2 mm anodized aluminium, the panel is equipped with a universal label which has to be marked by the user corresponding to the mains voltage and installed power supply (mains voltage 115V or 230V for A-100NT12/A-100PSU2, 110...240V for A-100PSU3, and suitable fuse value). The back panel is a bit longer than 84 HP to cover the rear side of the A-100G6 frame completely. Available only in these lengths and colors. fee for mechanical mounting of one module, connection to the bus board and testing within the system. We recommend to order mounted and tested systems. Only if you are an experienced user you may assemble the A-100 system by yourself. Important note: The manuals of future modules are not included and it's not possible to order only the manuals for new modules which are not yet included in former versions of the service manual. The service manual changes permanently and it's impossible to find out the differences between older versions of the manual and the current version and to deliver only the differences ! Please do not order the service manual if you do not agree to this regulation ! The service manual is available only in German language and will not be translated to English. But most of the information (schematics, parts list, components overlay/silk screen) are international. The service manual is sold only to A-100 customers ! As an example the A-110 service manual is available on our web site. The service manual is bound in several volumes (even available as un-bound single sheets if desired).